When change is on the horizon, talking with each other openly about what we’re trying to accomplish and why it matters to us is essential to identifying the new behaviours, actions, and mindset shifts that will bring about real change. Traditional approaches to change management tend towards a top-down approach where most of the planning input comes from a few key people – in order to confront the uncomfortable issues and foster change leadership throughout the organization, new approaches to change planning that engage more of the participants in open and constructive conversation are required to increase the possibility of real success. In this hands-on workshop, participants will be introduced to a simple and fast technique for structuring conversations about change that pulls input from all participants, as well as a playful implementation approach using LEGO Serious Play that sets the stage for everyone involved to participate on an equal footing so that real conversations can happen. Ellen Grove is an Agile coach & trainer with Agile Partnership (http://agilepartnership.com) in Montreal & Ottawa, Canada. Ellen helps teams and organizations do better work through coaching them in creating the circumstances in which they can work most productively and effectively. Her Agile coaching practice is founded in over 15 years experience leading software testing, development and implementation teams in global enterprises, startups, and public institutions, a passion for exploratory software testing and user-centered design, and a background in community organization. 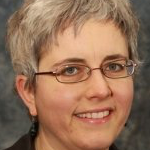 Ellen is also an Open Space facilitator and a StrategicPlay certified facilitator in Lego Serious Play methods, and one of the lead organizers of Agile Coach Camp Canada.